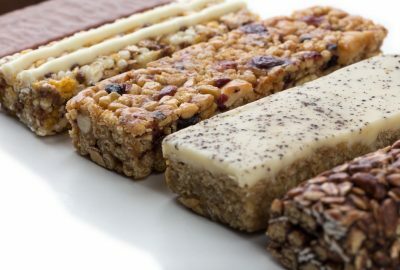 Multi-Level Marketing Protein Bar–Good? Bad? Ugly? One of my patients gave me a bar from a very well-known multi-level marketing company. Since so many people use these products, I thought I would throw in my $0.02. The breakdown per bar is 270 calories, 9 grams of fat, 18 grams of protein, 30 grams of carbs and 1 gram of fiber. The protein is high quality (whey, casein) and it tasted VERY good. I wish there was more fiber. 1 gram? Really? But, after having tried it, will I recommend this product? NO!! The cost per bar from a Google search is over $3.50. I am sure if you get from a distributor it will be less, but when you compare this bar to a Combat Crunch, which also has high quality protein (and more of it), 12 grams of fiber and only 210 calories at a cost of just over $2 per bar…well, there is no comparison. My problem with this company is not with the quality of the products. In fact, they are solid, though I do think others out there are better regardless of cost. My major issues are around the insane price and the super low calorie diet that accompanies the recommended use of the supplements. Yes, you will most likely lose weight, but the likelihood of regain is huge and you will probably end up in a worse position than when you started.